Latin name: Afzelia africana spp. 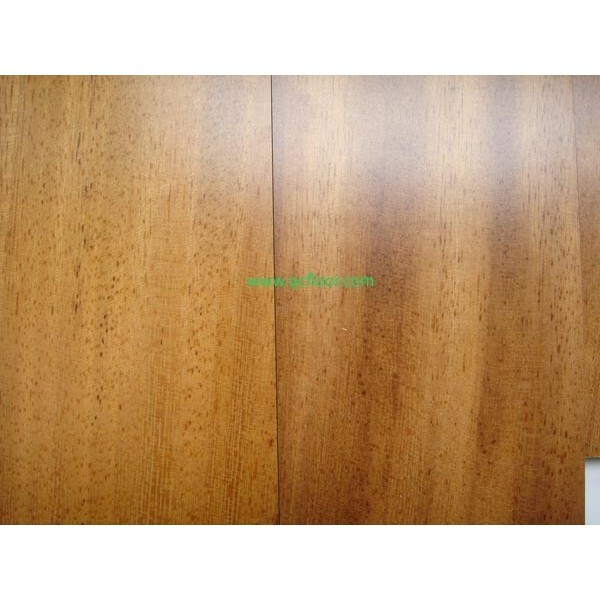 Doussie is a beautiful orange/brown wood which ages to a medium brown color. 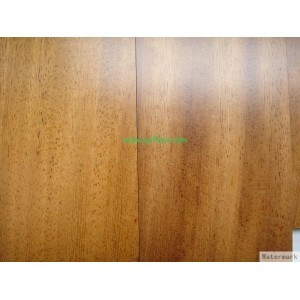 It is one of the most popular imported flooring species. Doussie exhibits a medium range of color variation between golden tans to darker orange/browns. Rather difficult to saw and machine because of rapid dulling of saw teeth and cutters but works to a smooth finish; some tearing of grain on radial faces. Texture moderate to coarse; grain straight to interlocked; medium luster; without characteristic odor or taste. Some pores contain a yellow dyestuff which, under moist conditions, can discolor textiles, paper, or other cellulosic materials. Main uses：Exterior joinery (window frames, doors), flooring, heavy construction including harbor and dock work, furniture, because of good acid resistance used for vats and tanks.